The women in black are run off their feet, what with the Christmas rush and the summer sales that follow. 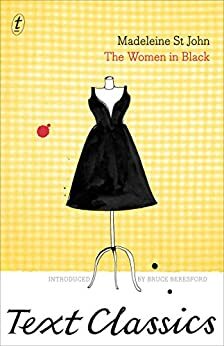 But it's Sydney in the 1950s, and there's still just enough time left on a hot and frantic day to dream and scheme...By the time the last marked-down frock has been sold, most of the staff of the Ladies' Cocktail section at F. G. Goode's have been launched into slightly different careers. Bruce Beresford is one of Australia's best known film and opera directors. His films include The Getting of Wisdom, Driving Miss Daisy and Breaker Morant. 5.0 out of 5 starsWhat a marvellous read! I heard the Australian commentator Phillip Adams interview the film maker Bruce Beresford about this book. Both were heaping praise on "The Ladies in Black". Initially, I thought this didn't sound like my kind of book but at the conclusion of the interview I had been bitten and ordered my Kindle copy straight away. This has been a great read, I've enjoyed every page. great writing, compassionate and insightful on very ordinary lives most of us wouldn't give a second thought to. Also relevant to today with its setting in post war Sydney with its influx of refugees from WW2 - 'Continentals & reffo's'. character development terrific. Women in Black was a great read! I enjoyed it straight away and knew that the characters would quickly develop into ones we loved. The post war immigration of Sydney was so well depicted and vibrant. Madeleine St John captured the iconic store which we miss in its previous form! This is one of those great books that pulls you in so that you are there. After I finished the book, I kept thinking about how the characters were getting on. Such a wonderfully written book, it really comes alive and you feel very involved in the lives of the women in black. Great novel. Lovely read. Describes a time and place which once was, with its pros and cons, for better or worse. Enjoyed it and will pick up another of her books soon. 4.0 out of 5 starsA delightful short read. 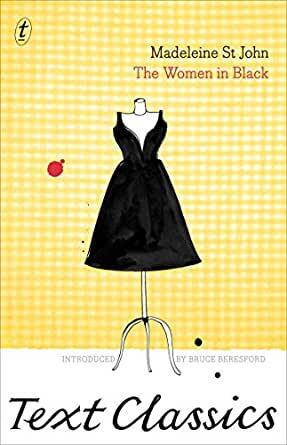 Delightful tale set in an old Department Store in Sydney where I have shopped for many years.